Oh what fun we have had so far! 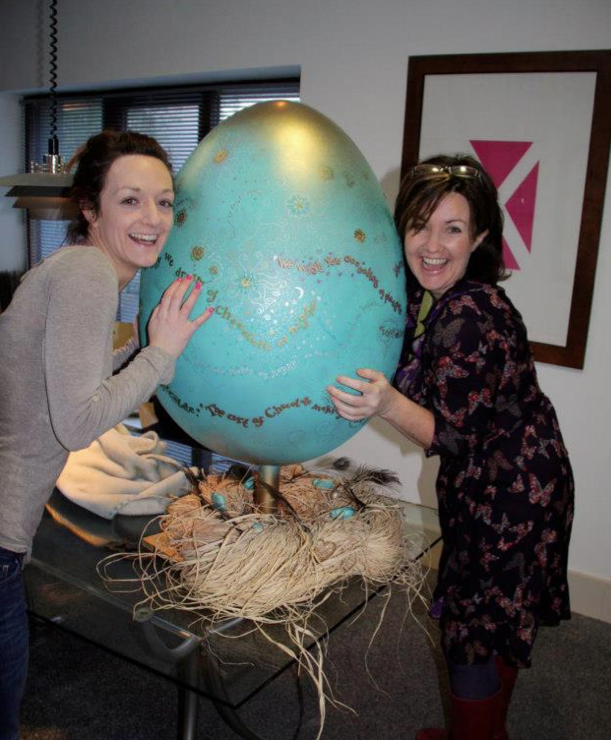 Creating this egg for Lily O’Brien’s and now its on display in a secret location in Dublin for forty days and forty nights for the Big Egg Hunt. 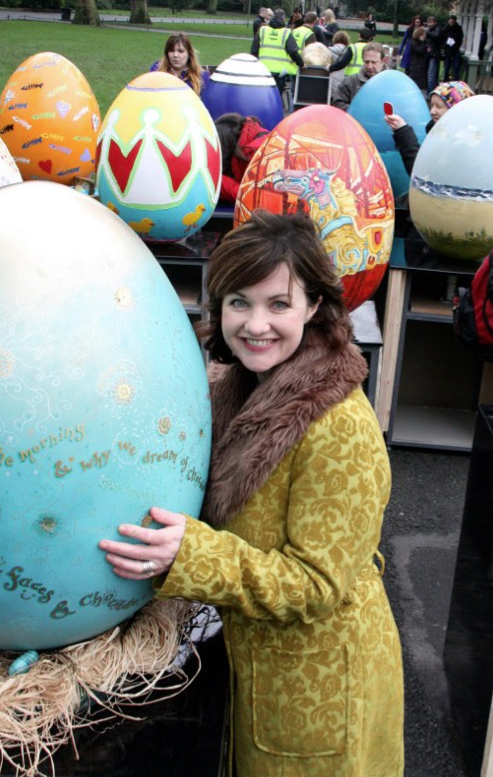 Its all to support the Jack and Jill Children’s Foundation, and any one of these beautifully decorated, giant eggs can be bought online or at the final auction (except ours which is already sold, sorry!). 2) Send us your photo. 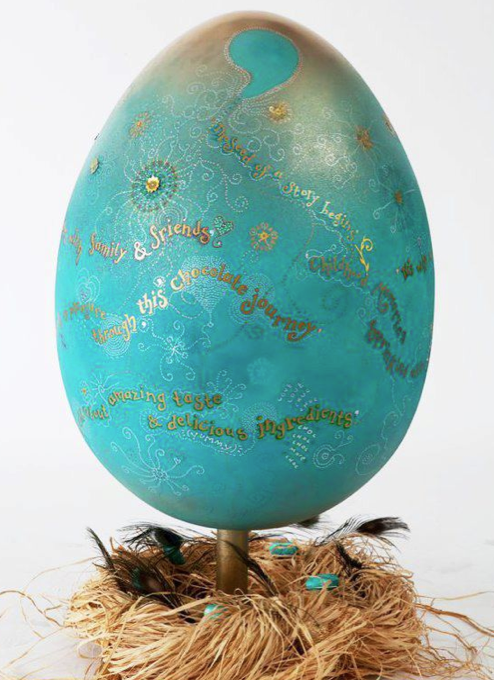 Find out more about our egg decorating here on our Facebook album which details the stages of decoration and shows pics at the launch and in situ too – can you guess where…? 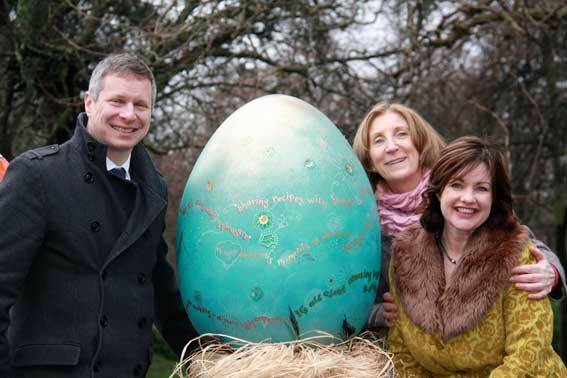 Find out more about the Big Egg Hunt in Dublin here and join the fun.